Columbus shares their 6-12-0 record with the Edmonton Oilers. With 12 points this season, they are tied as the league's worst team. After a win against Winnipeg, the Blues (12-5-1) head to Columbus to square off against the Blue Jackets. Despite the Jacket's unimpressive record, they have won their last two games. The Blues lost both times these teams met last season, so they shouldn't expect to roll over this team. Hitchcock decided to switch up the lines in last night's game against the Jets. David Backes, who is usually placed on Troy Brouwer's line, played with Vladimir Tarasenko and Alexander Steen. This put a physical player on the first line, which was effective to say the least. Backes had three points (two goals and an assist) as the Blues scored three goals total. I hope we see that line again. Backes had several chances to register a hat-trick. 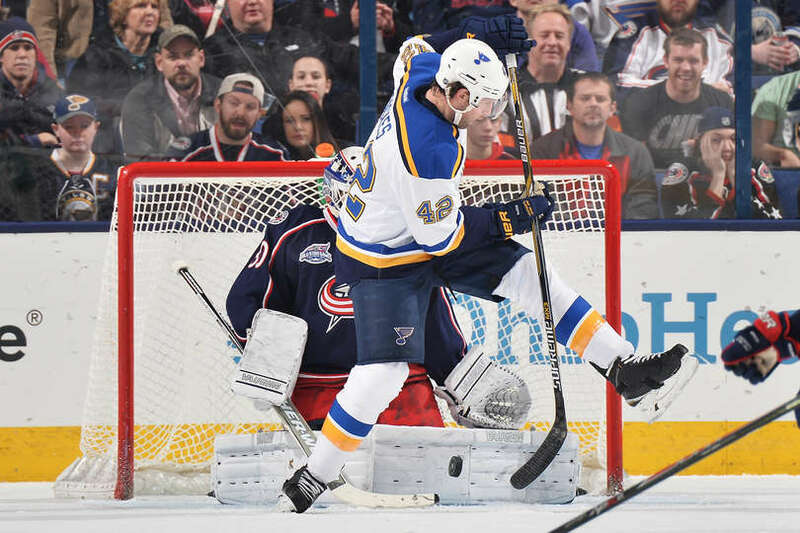 Let's remember the Blues had a game last night so they will be more tired than the Blue Jackets, whose last game was November 17. UPDATE: Ryan Reaves will be in the lineup. Brian Elliot is starting in goal.